Aikido is, as its basic philosophy, the practice of being in harmony with your opponent rather than being in conflict with him. The ideal of Aikido is not to think of defeating your enemy, but rather harmonizing with him, spiritually and physically. This is why Aikido is sometimes called the "Art of Non-Resistance," or the "Non-Fighting Martial Art." Aikido is more than an art of self-defense: into its techniques are woven elements of philosophy, psychology and dynamics. As students learn the various arts, they will at the same time train their minds, improve their health, and develop self-confidence. 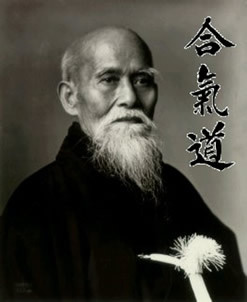 Through the physical practice of the self defense techniques, the students of Aikido come to appreciate and understand the mental or spiritual aspect of Aikido. Sensei Charles Tseng started Lake County Aikikai in 1975 shortly after being promoted by the late Akira Tohei Shihan, to the rank of Shodan. The Lake County Aikikai's first home was in a small frame building with the Mundelien YMCA. In 1977 the dojo found a new home at the College of Lake County and has been there ever since. Lake County Aikikai is affiliated with the Aikido Schools of Ueshiba and in turn with the Aikido World Headquarters in Japan. True Budo is a work of love. It is a work of giving life to all beings, and not killing or struggling with each other.